Saint Spicer is influenced by the artistry of icons such as Nina Simone, Beyoncé and Lady Gaga. She makes funk and soul music with silky vocals and honest lyrics to convey the realities of life. 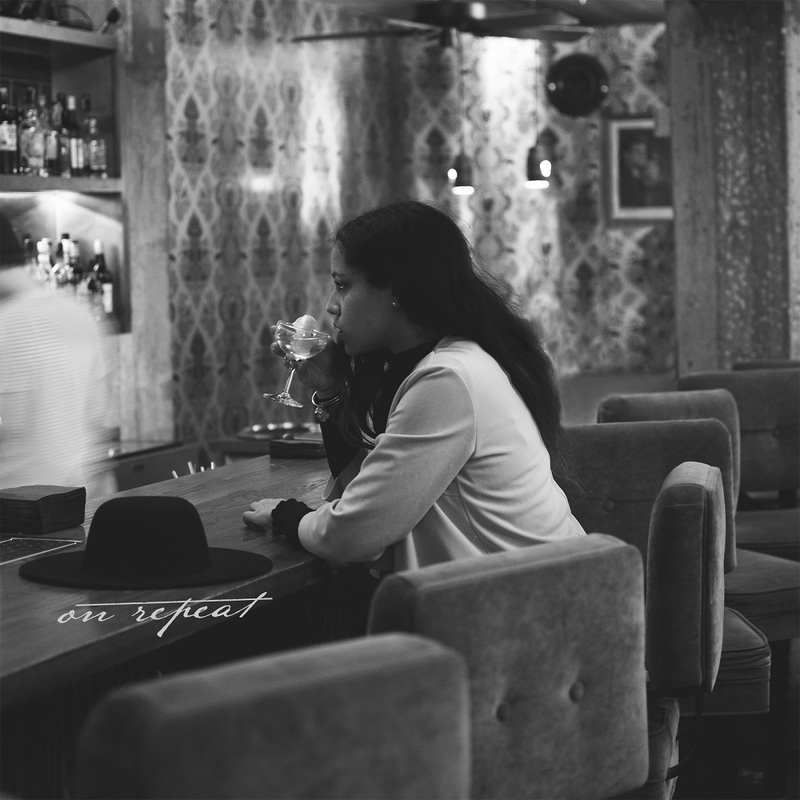 Her latest single, ‘On Repeat’, is out now and we caught up with her to find out more. As I grow in my craft, I hope to be able to tell more of a story with vocals alone. My friend and I were just talking about this—some people are lucky enough to be born knowing their soul’s calling. I count myself as one of those lucky people, and I knew from the moment I could open my mouth! I just remember songs so well and I can reproduce the sounds perfectly. To this day I know all of the words to over 450 songs. I just remember them so easily. When I was younger, I was immersed in country music and culture. This was back when Shania Twain was huge, and I loved doing karaoke to her songs. Country music has heavily influenced my songwriting style. My musical style is rooted in the blues, but takes influence from funk, soul, R&B and jazz. My current influences are folks like Nina Simone, Jill Scott, Beyoncé and George Clinton! Why the name ‘Saint Spicer’? This is a good question! Spicer is my last name and I want to make sure I carry that name with me because it grounds me and reminds me of who I carry on my back, and who carries me on theirs. Saint is a name I chose that came from one of my personal heroes growing up, Kanye West. It’s also relatively gender neutral, which I liked. I also chose it for the religious and service oriented symbolism, because service is a huge part of why I do music. I would want to collaborate with TeaMarrr right now. Seeing her hustle over the past two years has really inspired me, and she is my Aries twin. I am actually in the process of writing a duet that I hope she can join me on! I also really want to collaborate with Rico Nasty, but that feels musically far off from where I am now. You’re currently writing your debut album Space Cowgirl in Austin, Texas. How’s that going? We are in the process of recording, we have one song complete and ready to go. We are focused now on getting the video for ‘On Repeat’ out, but after that we will go full swing into producing the album and a few other surprises I’m not supposed to talk about! Tell us about your new single, ‘On Repeat’. What’s it about, what are its themes? ‘On Repeat’ is about love but more importantly about what happens when you don’t have a lot of love for yourself. I know that I have a lot of love in my heart, but as recently as last year, I didn’t share any of that love for myself. Instead I was giving it away to other people who weren’t ready to reciprocate. I kept putting all my hopes and dreams for the love I would receive on others. Isn’t that kinda silly, to give away that which you want to receive? So this song helped me work through that, and realize I can pour all of those resources into myself. I wrote it in the fall, during a depressive phase. I remember I was crying nonstop for no reason and I was just so sad and I couldn’t get the feelings out, so I took ‘Born Soul’ up on his offer to work on a song together. We recorded in his studious Austin, Texas, and now we are working on another song together. How does ‘On Repeat’ represent your style? The vocal elements tell a story, and that was really important to me. As I grow in my craft, I hope to be able to tell more of a story with vocals alone. What are your hopes for ‘On Repeat’? I would like ‘On Repeat’ to reach 10k streams by the end of the month, and eventually our goals are even higher! I want it to be a fun song to perform on stage, and I want it to be the start of my career. As of now, it is all of these things and more. What can you tell us about your plans for the rest of 2019? I want to get back into performing. Performing is where I feel I’m able to give people what they need, and I feel the most comfortable there. I also hope to slowly release some of Space Cowgirl! We want the full release to be in spring of next year, but the singles late this year. Oh, I would say learn bass guitar. I wish I could play like my bassist Jason! He is the grooviest player I have ever seen! Listen to ‘On Repeat’ on Spotify below. For news and tour dates go to the Saint Spicer Facebook page.